Here we go, The Northern Four adventure has started! So here we go again. The time has come and we’re ready to head off for our next adventure. Not so long this time and not so complex but a journey nevertheless. Ok, we have been paddling all the time since coming back from “doing Britain” but the longest time we managed to go for was three weeks and we had a car with us. 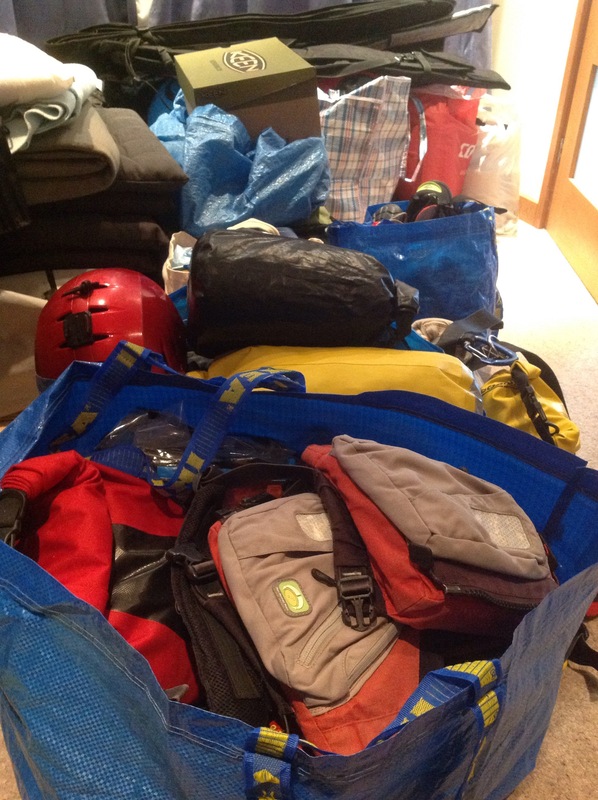 This time it’s different, we’re leaving for eight weeks paddling. The plan is fairly simple. We’ll leave the mainland at Glenuig, Sound of Arisaig, and paddle west, west until we reach the most westerly island we can reach before going north. Of course it’s weather dependent, and yes, unlike “Britain”, we don’t know yet where the finishing line is. One would say that since we’re going for eight weeks or two months only, it should have been fairly simple in preparation. It was to some extent. Since we always knew we wanted to do a long term paddle again, we have been saving for it for a while. When the right time came, we had to commit to the idea that if we can’t secure time off work, we may have to leave and face all the consequences later. Luckily again, both our bosses were agreeable that time off would be beneficial to all. Paying rent takes a big chunk of one’s monthly budged, paying rent in London and not living in the flat could mean most savings going towards the rent, and so again we moved the computer desk into our bedroom and rented out the spare room. The new flatmate seems fine, has been living with us since the end of February. With the life sorted, it was time to look into how to get the whole trip organised. Rough planning was done and we have several charts and information on desired locations printed, however the actual navigation will be done the day before as usual. 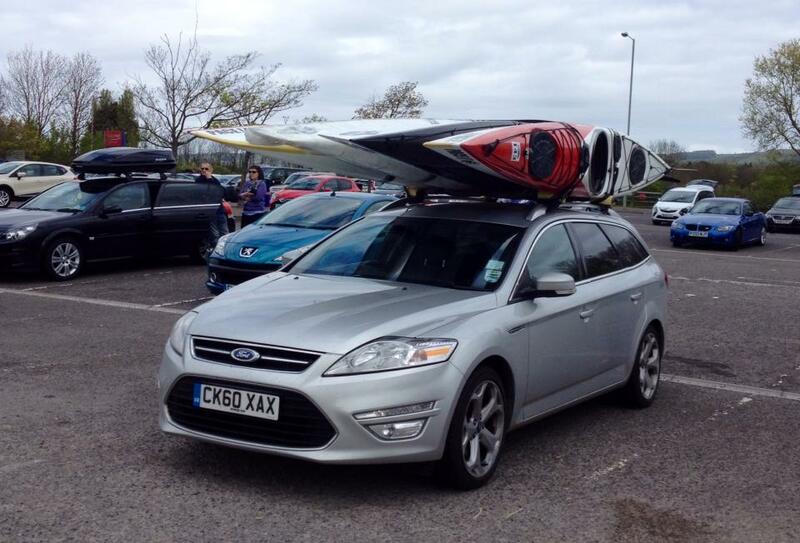 Not having a car and using a borrowed one every time we went paddling made the logistics of how to get two boats we want to far away Scotland the most important part of the planning. Fortunately Tiderace decided to held a convention up in Glenuig at the beginning of May, which pretty much has set the date and place of our start line. The only thing we had to do, was to drop our boats to Devon for them to be taken to Scotland. The packing was easy this time, really took just half a day of one day. I have to admit that being on multi month unsupported trip before helped in knowing what we need, like or want. Again, not taking it all ourselves, meant filling up Julie’s spare bedroom with 8 Ikea bags and one box. The last thing left now, is to pack the remaining of the stuff like perishable food, cameras, and land clothes, then board the night bus to Glasgow. Scotland, here we come.